As the weather warms here in both Melbourne and Sydney, it will soon be more attractive to get out on the two wheels after the sun goes down. If you do choose to make the most of the warmer nights coming up, then, one thing to make sure of, is your visibility during these times. For those readers who do already ride, then you’ll already understand the importance of bike safety at night. 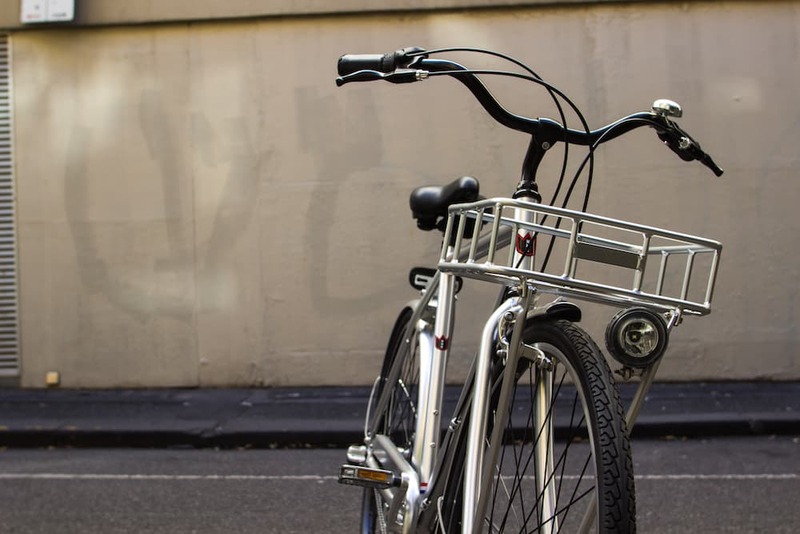 For those of you who are yet to get out on two wheels after the sun goes down, then it can help to understand that doing so without any visibility danger both yourself, as well as other users – both cyclists as well as motor-vehicle users. The solution for all of this – is bike lights. It can help greatly to invest in some premium quality lights for both the front and rear of your bike, to ensure maximum visibility for both yourself – whilst you’re riding, as well as for others – so they’re able to see you. Throughout this post, we’ll be looking into the different options that Lekker Bikes has for ensuring you stay safe and visible when riding at low light times. We have a range of functional and stylish solutions to suit all styles of rides – both Vintage Bikes as well as Commuter Bikes. Read on to gain more information on the lighting solutions that we have here at Lekker Bikes – offered both online, as well as in our Melbourne and Sydney branded shops. Lekker’s very own bike light! A single, high output LED light built within a striking retro-styled casing – powered by three included AA batteries. Also comes with two mounting brackets enabling you to attach the light to either the headset or the front brake. Supplied by Dutch LED light supplier ‘Spanninga’, these lights are user friendly, economical and compact – designed to fit onto a range of different bicycles – Vintage Bikes, Commuter Bikes, as well as kid’s bikes also. Our very own Jordaan and Sportief Deluxe bike models come fitted with this light, whilst an additional bracket is supplied to enable fitting to our Sportief Basic bike. Another of Lekker’s branded lights – a single high output LED light, powered by three AA batteries, within a retro styled casing. Our Vintage LED light comes with two mounting brackets – enabling it to attach to either the headset or the front brake. 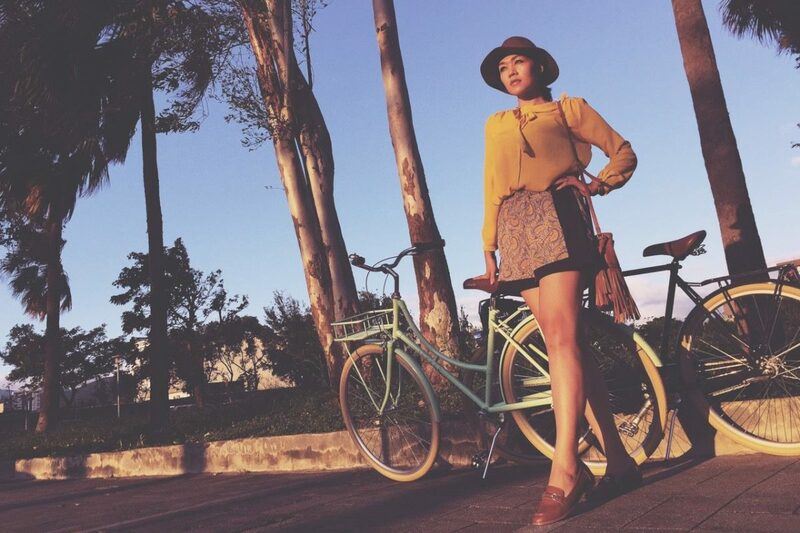 Suitable for both our Vintage Bikes, as well as our Commuter Bikes. The Lightskin LED Seat Post light, is a premium LED light encased within a seat post. 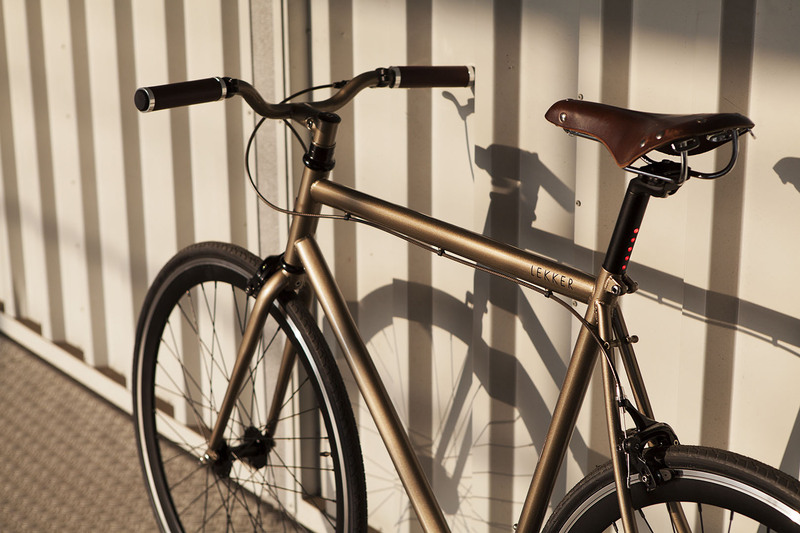 The seat post design offers a number of advantages over regular bike light solutions, such as being completely safe from theft and damage due to its integration within the seat post. The topmost LED light functions as a control button for the five LED lights. The light itself is weatherproof due to its patented interior structure and silicone coating. With a glow time of up to 400 hours, requiring only two AA alkaline batteries, and being completely water resistant, the Lightskin LED seat post light is a premium bike light solution – winning the Reddot design award back in 2010. As mentioned above, we’ve chosen premium Dutch LED light supplier ‘Spanninga’ to outfit our bikes with – a premium light that offers a bullit design, as well as an integrated reflector. Based upon the lights from the early 40s, however with modern day LED technology, these lights ensure you a safe ride home during low light periods. Our Jordaan and Sportief Deluxe Series, both come fitted with a front and rear light solution from ‘Spanninga’. These lights are an easy fit to any of our bicycles – our Vintage Bikes, as well as our Commuter Bikes, and fit perfectly onto our front racks too! The USB Lumen Light Set, is the perfect choice for a commuter searching for a high powered light set that will not break the bank. It’s a high quality set composed of both front and rear lights. The lights have a slim, and high powered design, offering 400 lumens at the front, and 65 lumens at the rear. 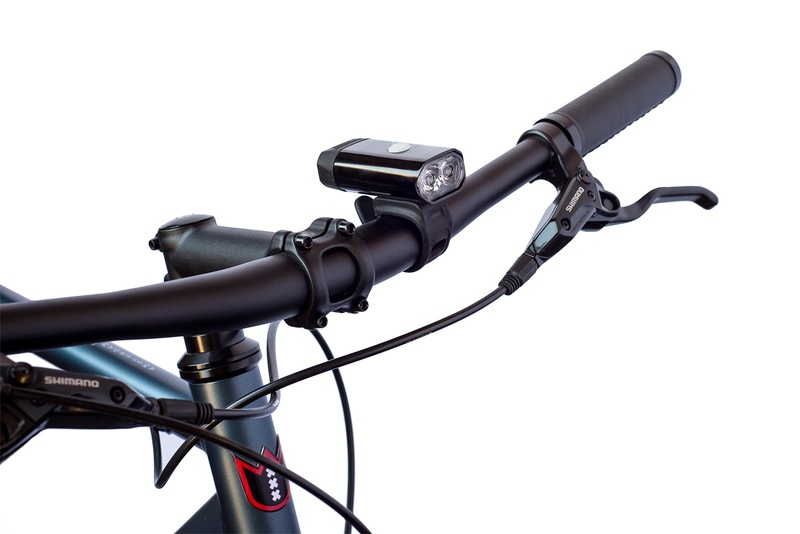 The light set can be easily mounted to any of our bikes, is water resistant and equipped with a low battery indicator to ensure a safe ride home. The set is chargeable and provides a USB cable to do so. This set is a top combo for our Lekker Amsterdam Series, as well as any other ride that requires a high powered and low profile LED light solution. With so many options to choose from, we understand that at times it can become overwhelming trying to choose a solution that may best suit your needs. This is why at Lekker we invite you to get in touch with our Melbourne or Sydney workshop teams, to help you to make the right choice when it comes to your lighting needs. If you’re in Melbourne or Sydney, we invite you to visit our Melbourne or Sydney shop to do so! 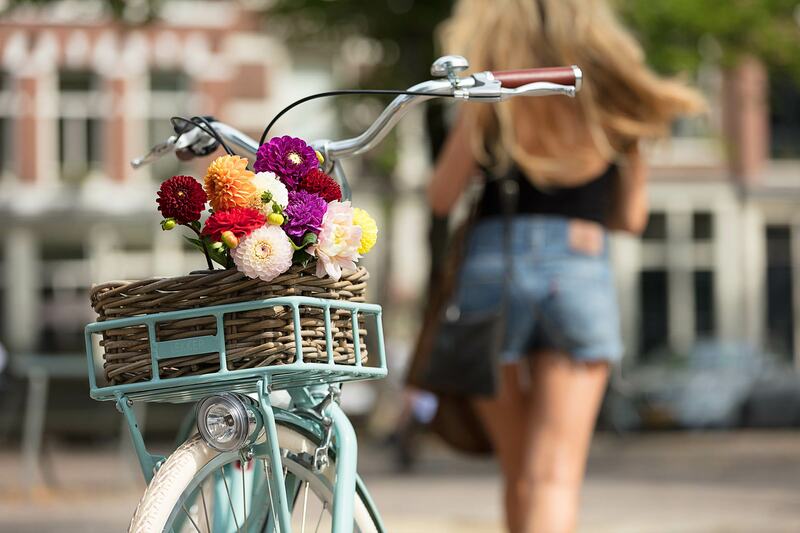 Whether you’re riding one of our Vintage Bikes, Commuter Bikes, or any bike for that matter, we at Lekker Bikes wish you happy and safe spring riding season ahead! The Lekker Team.